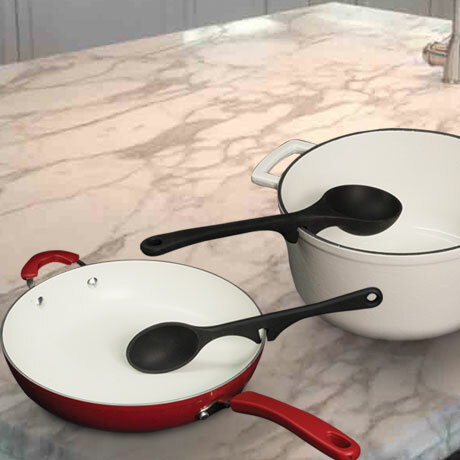 Special notch on handles allow each tool to rest on the rims of a pot, keeping drips and messes inside the pot. Spoons are made of stainless steel coated with high grade silicone. Heat resistant up to 450 degrees, and dishwasher safe. Safe for non-stick pots and pans. 12" long. Color may vary.